Search is the big feature in Android’s latest version, a glaring hole in the app until now. Search has really opened up Google+, and the content discovery possibilities on the service are vastly more useful and impressive than that of Facebook and Twitter. +1 comments – Just long-press on a comment! 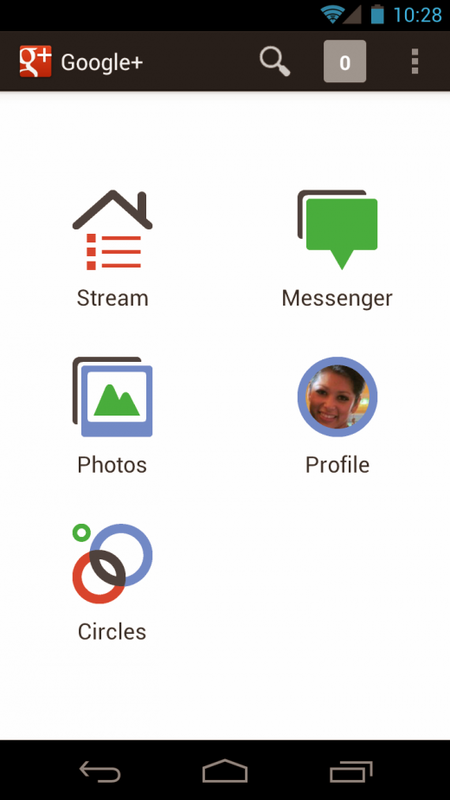 One of the features that users enjoy on the Android version of Google+ is instant upload of photos, as soon as you take them. This feature was available for videos as well, but was a bit more than buggy. That has been fixed in this release. Just remember that if you take ummm, “personal” photos and you have this feature on, they won’t be so personal anymore.